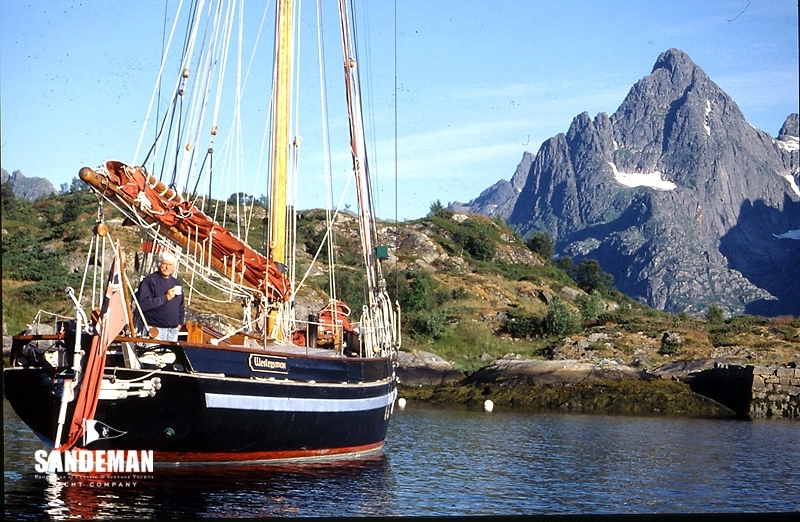 After many years adventuring and cruising the World in gaff cutters, Tom Cunliffe invited Nigel Irens to create for him such a design. 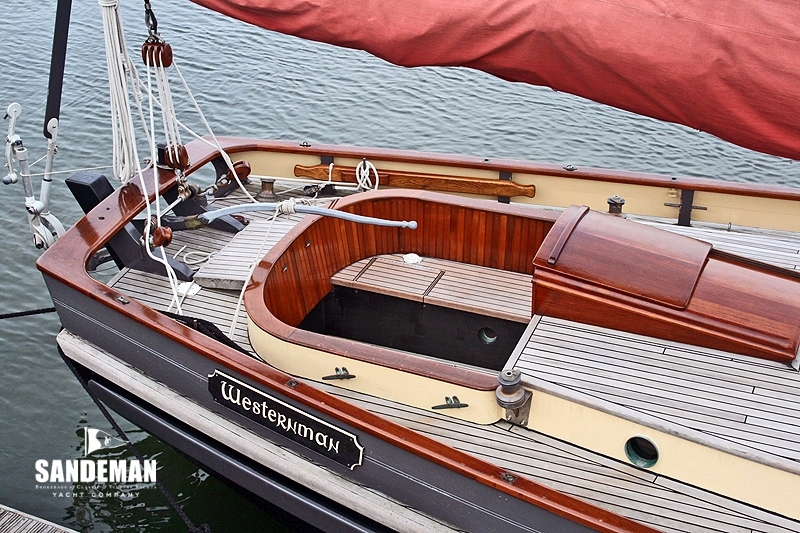 WESTERNMAN - inspired indeed by the original pilot boats of the Bristol Channel and able to cruise 2 or 4 handed for say 3 months on the go but nevertheless comfortable as well at sea as in harbour, has been a resounding success. 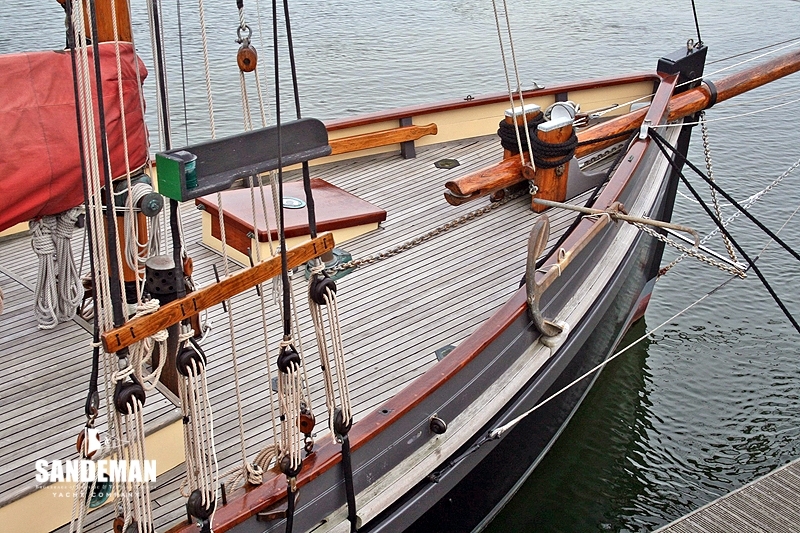 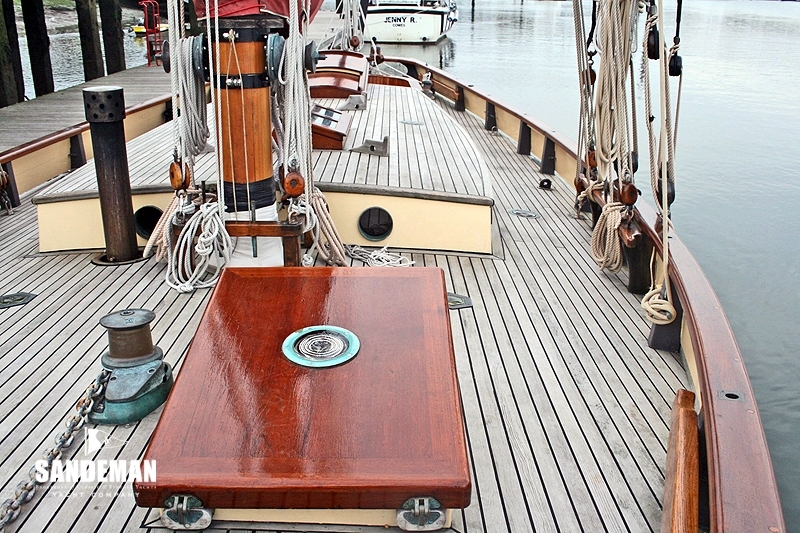 Exactly as you would expect, she is wonderfully complete from her rig and deck layout to her cleverly worked interior in antique pitch pine. 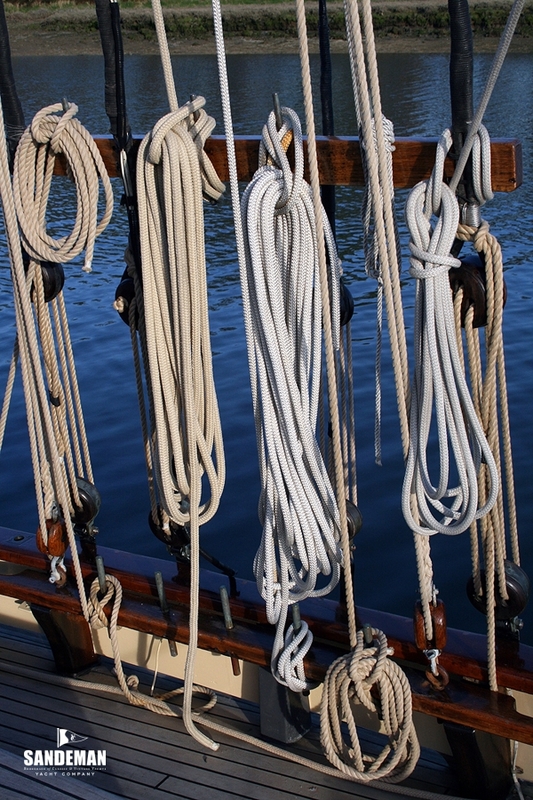 Experience is the best school and it would be difficult to improve upon her or add to her inventory. 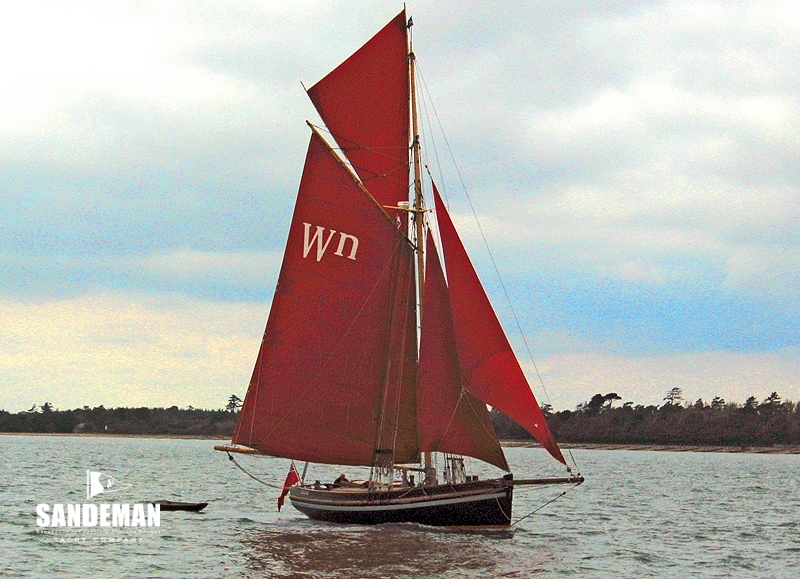 WESTERNMAN has been tried and tested and is totally ready. 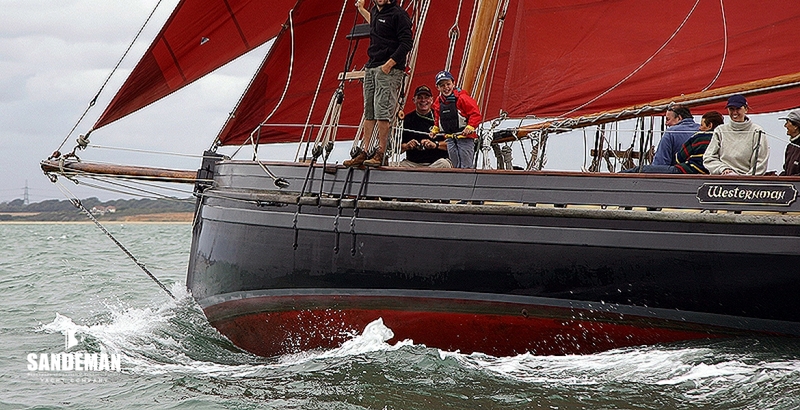 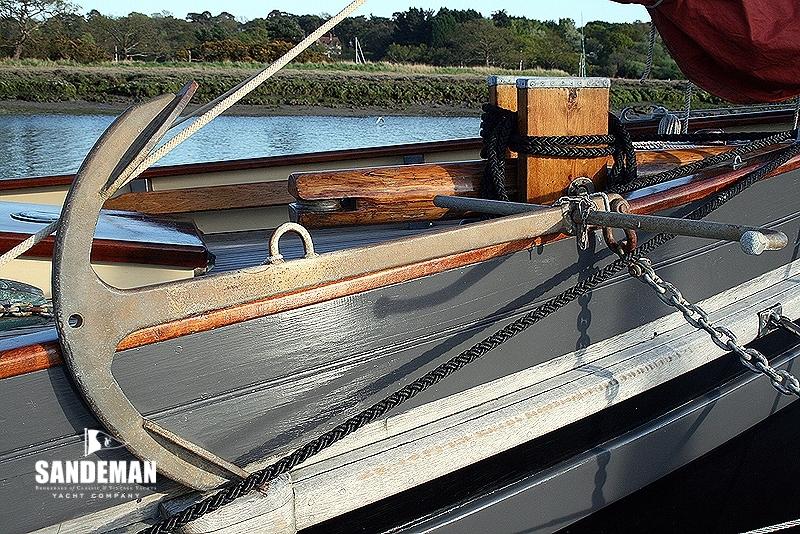 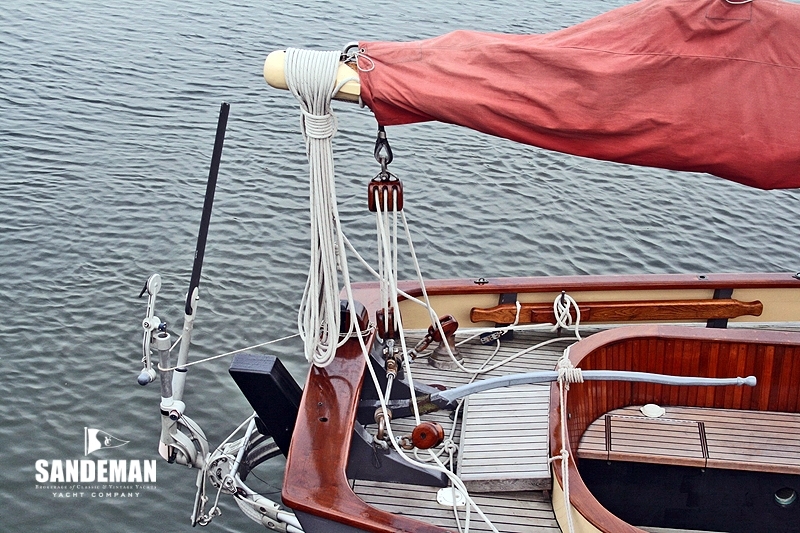 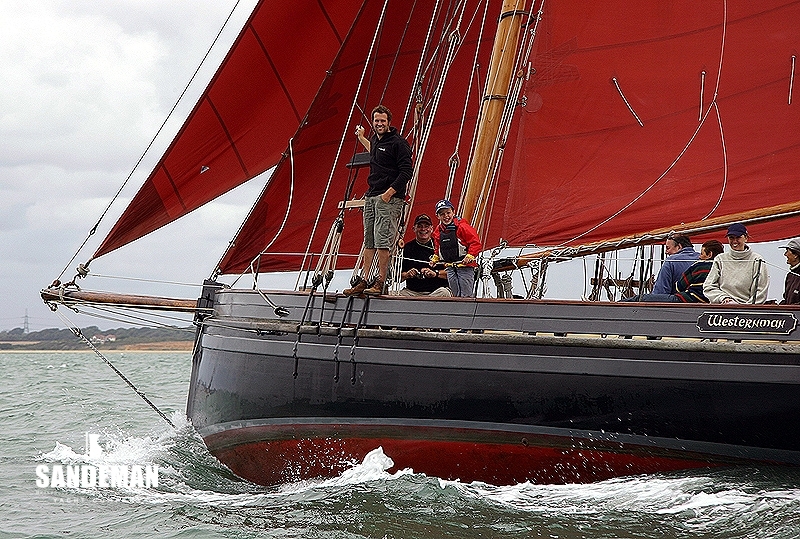 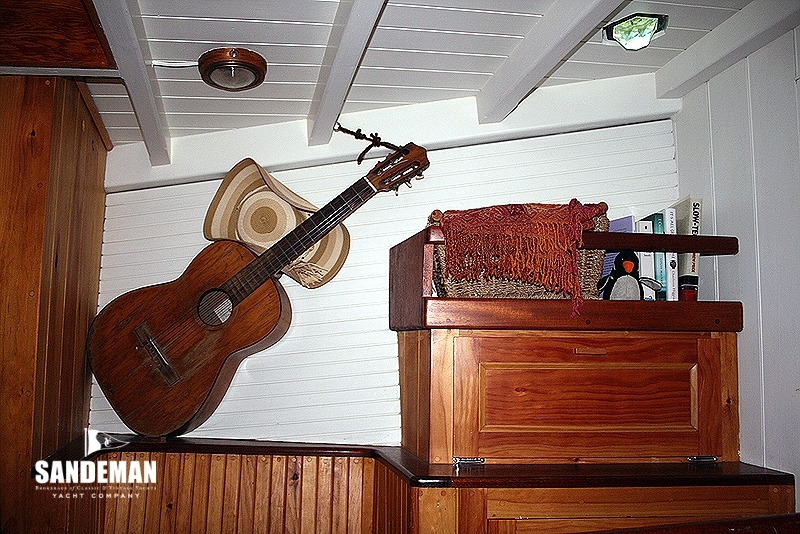 ‘Westernman’ was the nickname given to hands on the original Bristol Channel pilot cutters. 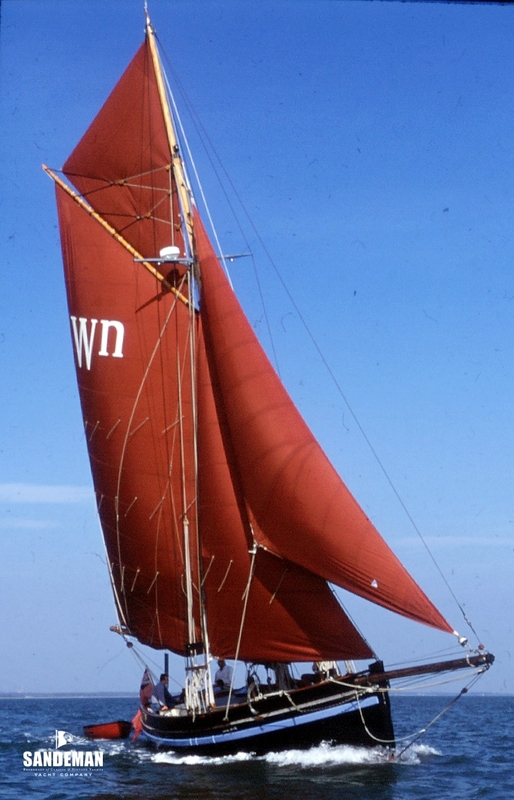 They sailed the boats far to westward to board their pilots onto ships inbound for Bristol, Barry, Cardiff and other western ports - then kept to sea no matter what the weather, waiting for their pilots to return when bringing their next outbound ships down channel. 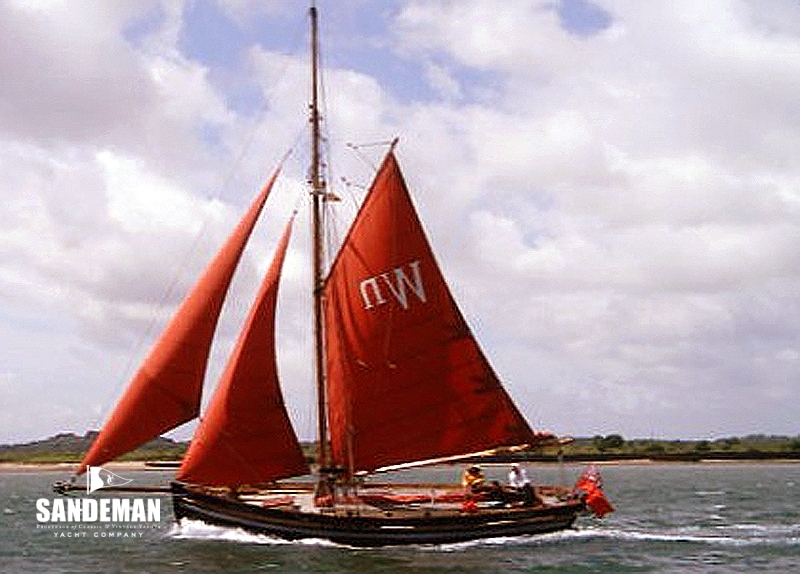 WESTERNMAN seems to be an honourable and fitting name for a vessel that would surely have been appreciated by these unsung heroes. 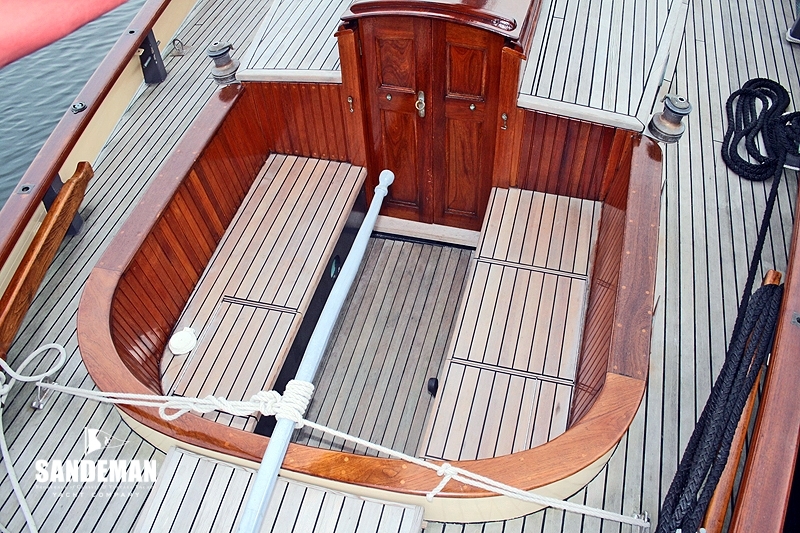 Aft is the self draining lazarette with propane storage etc. 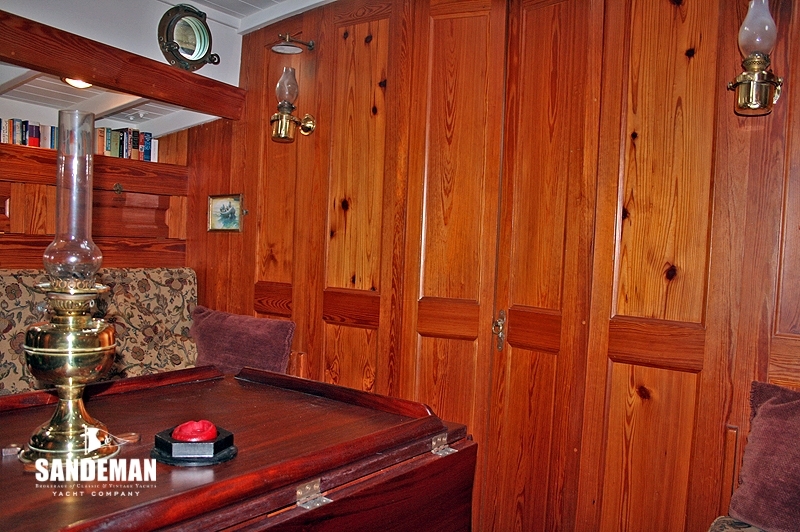 The cockpit is a pilot cutter classic; safe, deep and comfortable with seating over 3 large lockers starboard with ample dedicated liferaft / flares and warps etc stowage. 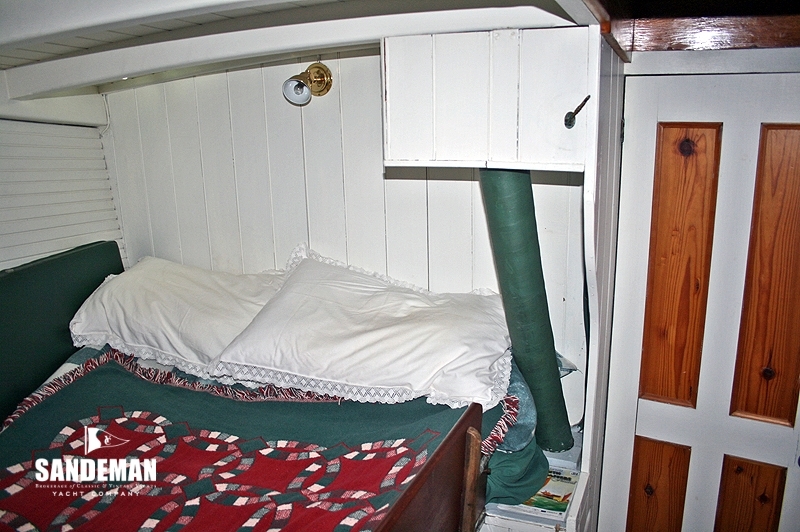 A companionway hatch and large step over the engine housing leads down to the accommodation below summarised as 3 single berths, 2 double berths etc in 3 + cabins. 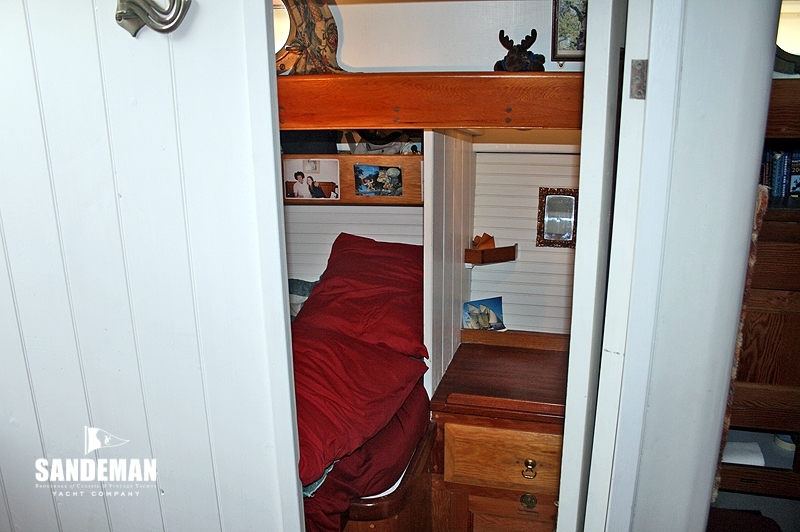 All berths are long and headroom high as current owner is 6 ft 6 in tall. 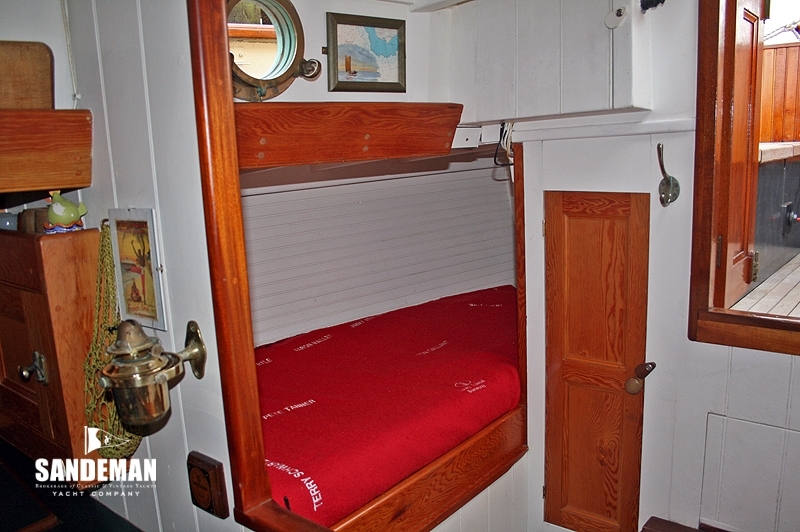 Aft via a doorway to port is a double quarter berth with storage outboard - with nearby forward an area designed for the hands to mill around, or hang out at sea with places to sit and lean while yarning with cook. 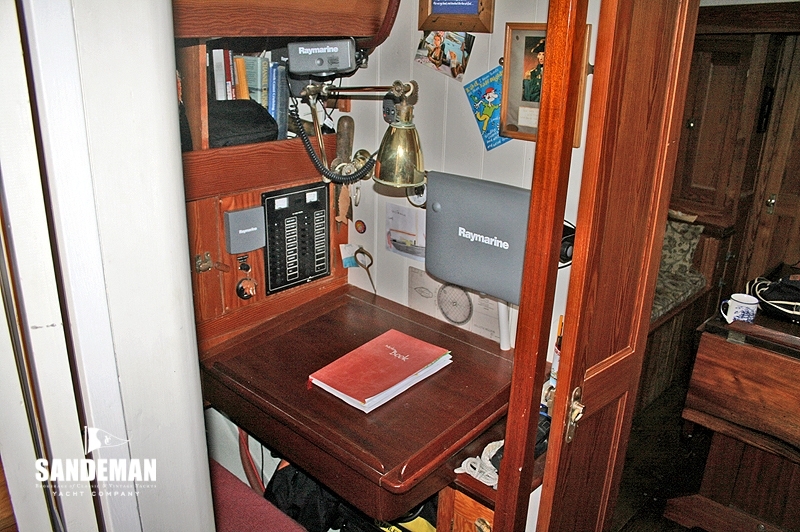 Navigation is to port; a good chart table with full modern electronics as detailed; GPS lead to drive PC plotter; inverter; lamp from World War II MTB in brass. 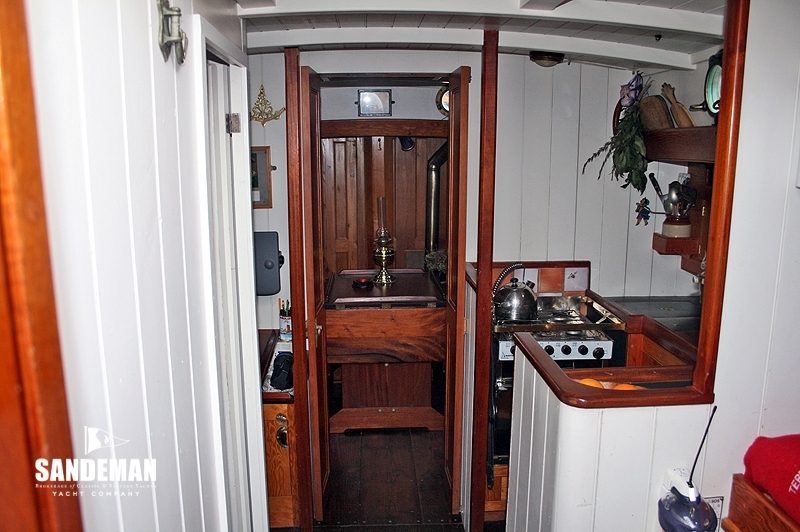 The galley is opposite to starboard with a fixed cooker and unencumbered stowage, big brass fiddle and pan clamps, plate racks etc. 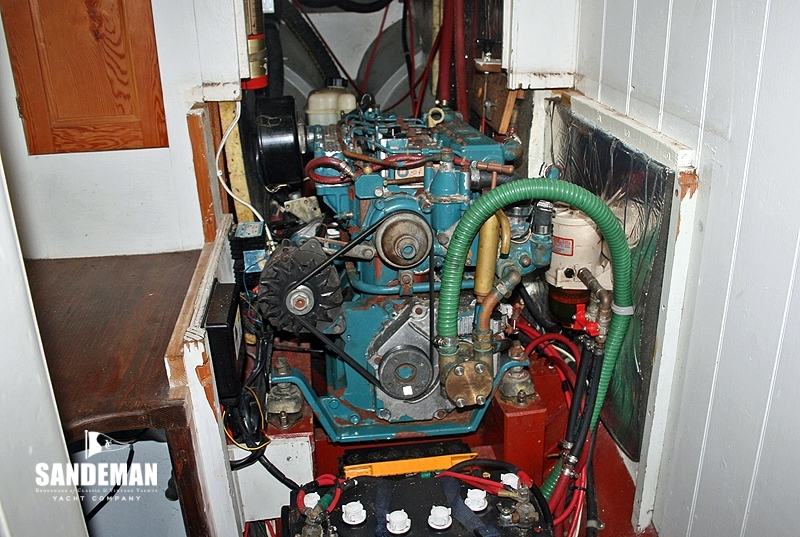 The Spinflo 4- burner hob and grill with separate oven is powered by 3 x 13 kg propane bottles (in lazarette). 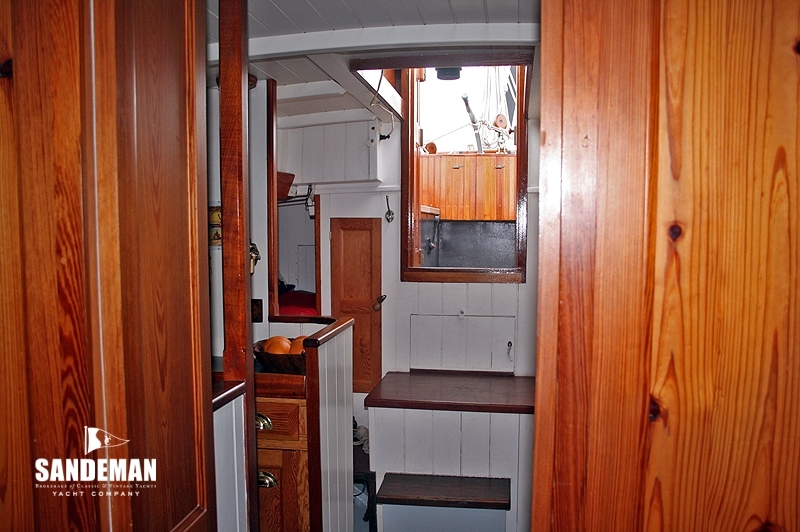 The cooking range is deliberately massive for foreign cruising. 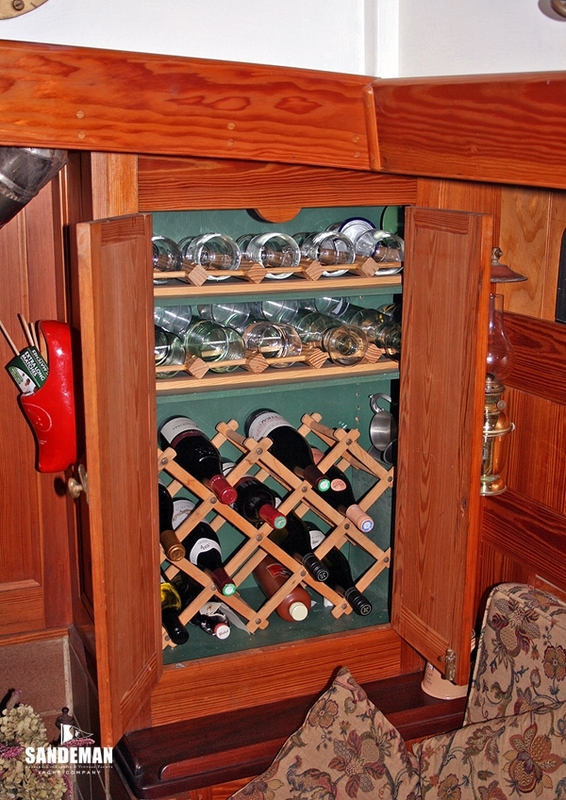 The cold box is readily convertible to simple 12 V fridge. 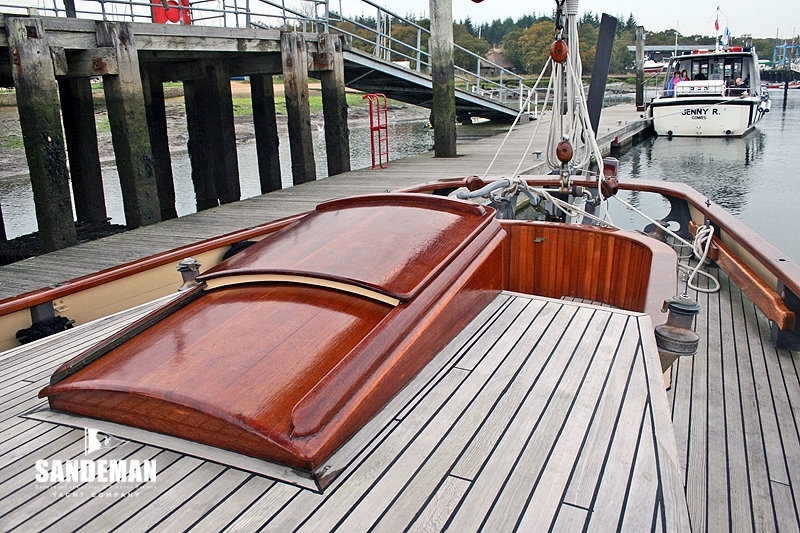 The two settees form superb heavy weather sea berths and occasional extra berthing in harbour, featuring removable solid timber leeboards. 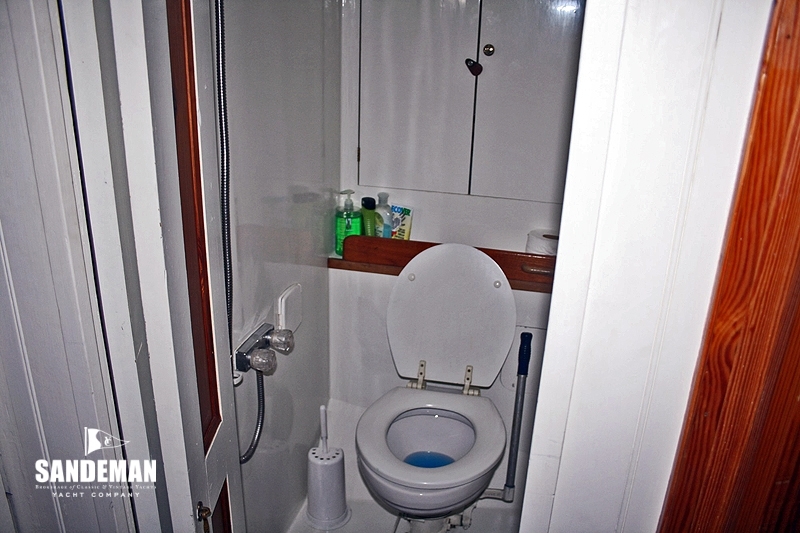 The next compartment houses a wash basin to port and large heads (Groco top model US made WC and shower to starboard making a complete athwartships washroom all with full headroom. 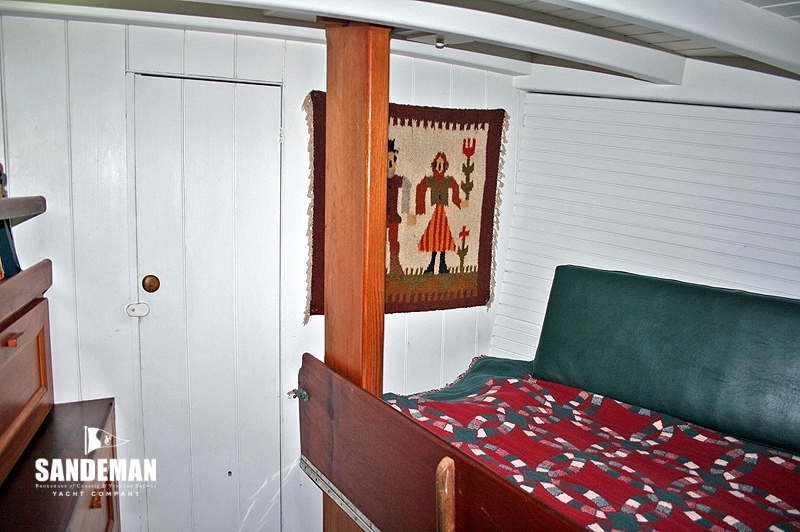 The fore-cabin; owners cabin has double berth to starboard, which extends to a very big berth in harbour and is fitted with white painted tongue and groove panelling with varnished mahogany leeboards and trim. 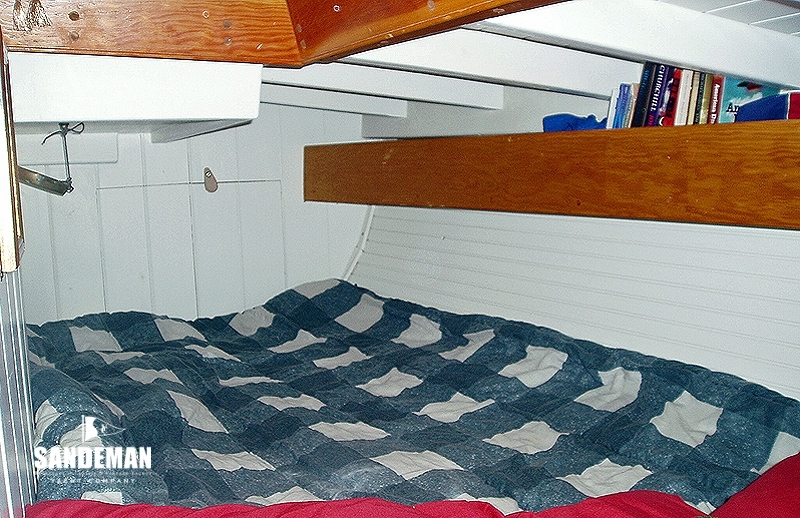 The Fo’c’sle – still with standing headroom contains shelves and open storage. 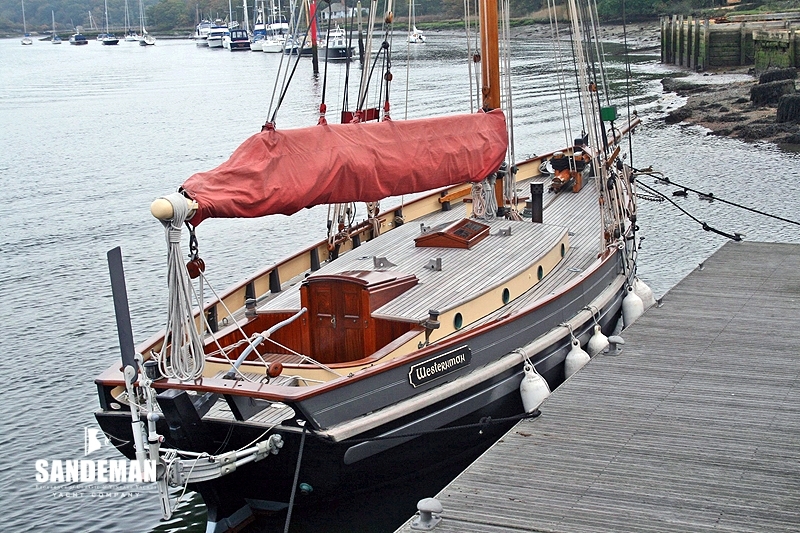 - Fuel consumption per hour at cruising speed: < 1 GPH. 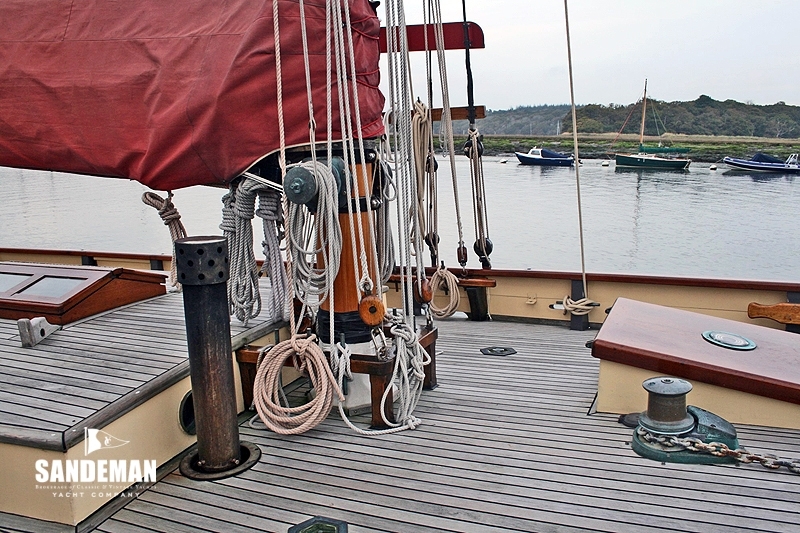 Items currently on board but excluded from the sale: various pictures, hangings etc., anchor weight, Walker log, 2 forward oil lamps (will be replaced with like), drawer handle, small mirror from aft cabin, half-model, Derby crockery and wooden plates. 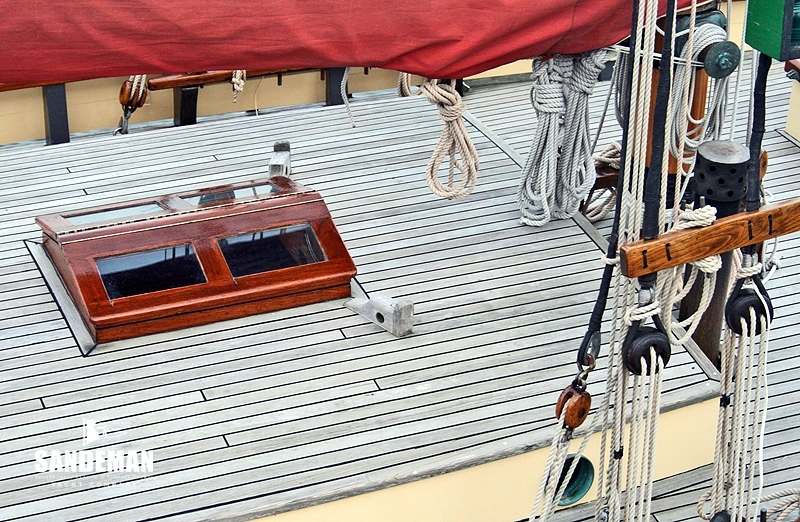 Crockery etc is personal but can be replaced in moderation by negotiation.